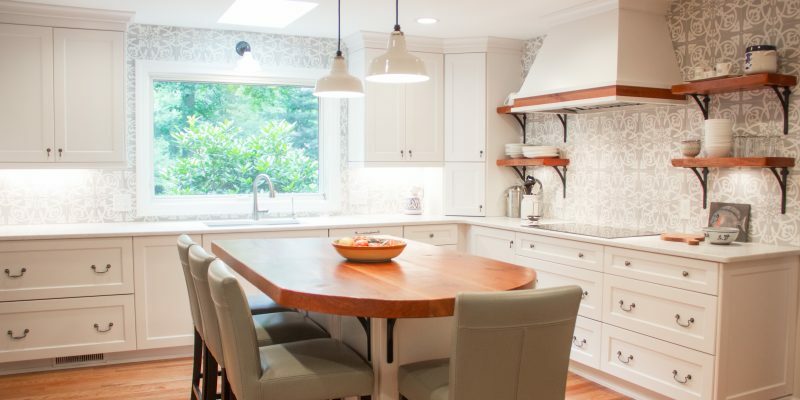 This was a beautiful kitchen renovation that combined great design thinking with wonderful materials. 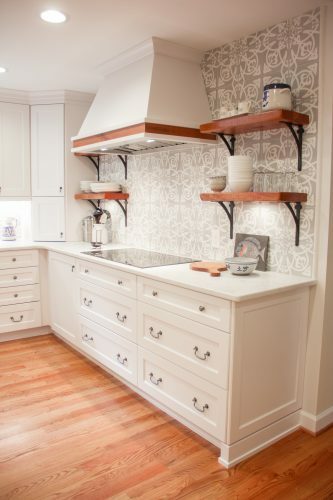 From Carrara marble to upgraded appliances, this was a fun project from beginning to end. 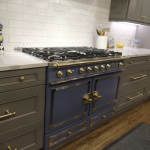 We’re so glad they’re still in love with their dream kitchen! 1) What were your biggest goals for your new space or reasons you wanted to remodel? Ever since we bought the house, I wanted to enlarge the kitchen. I wasn’t sure how to go about doing it without professional help. I had also always felt that the master bath layout, though comfortable, didn’t optimize the available space. 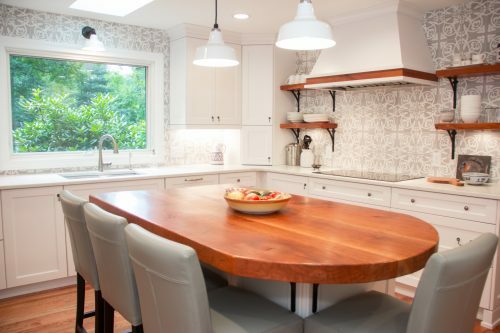 When I first contacted you, my main objective was to find out whether the extra space gained in the kitchen would be enough to add an island and to significantly increase the existing counter space. Once I saw the drawings and realized it was indeed possible, we went for it! 2) What inspired or led you to the selections you made in the space? What I disliked the most in my old kitchen were the dark cabinets, the lack of counter space, and the difficulty in accessing pans. 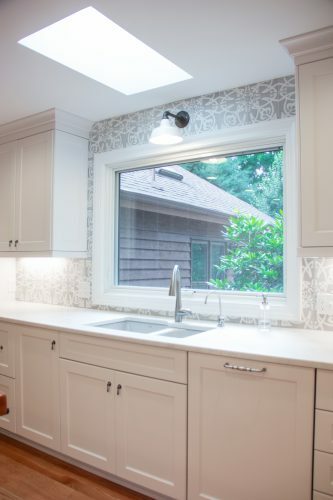 I knew I wanted a white kitchen with a light colored countertop, large deep drawers to store pots and pans right by the cooking area, and a large window to let in more natural light. 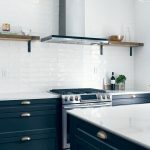 In addition, in order to recreate the look of the rustic kitchens I saw growing up in Spain and France, I decided to mix wood, cast iron, and tile. Since real hand-painted tiles were cost prohibitive, I was very pleased that we found an alternative that was economical enough to do an entire wall. 3) What are your favorite items or feature in the space? I love the countertops, both the Carrara marble in the bathroom and the white quartz in the kitchen. I also think the Moorish inspired tile definitely adds character to the kitchen. 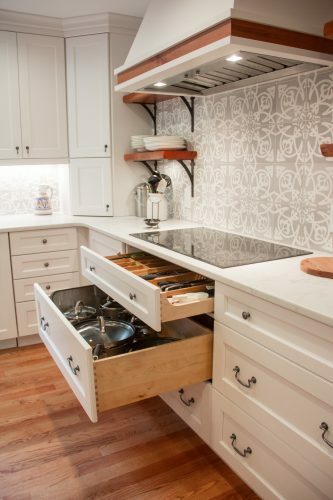 The cabinets and drawers meet all of my storage needs and are easily accessible. 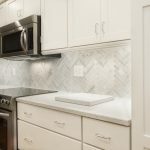 The upgraded appliances are certainly a plus, especially the ultra quiet dishwasher, the refrigerator, and the induction cooktop –I hope I never have to cook on an electric or gas stove again! 4) How has the remodel impacted your daily life? The overall kitchen has made cooking and entertaining much more enjoyable! 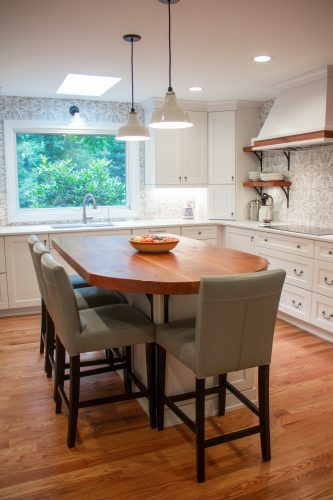 I love the fact that the large island and comfortable seats around it facilitate family bonding. The kids now spend more time in the kitchen working on homework or just accompanying me than before the remodel, mostly because our old table was used up as a kitchen prep area and there wasn’t enough space for their stuff. 5) How would you describe the space or what feelings does it evoke? The light color and natural light definitely give me a feeling of serenity. I guess I feel happy in my new kitchen because it is MY space, exactly the way I had envisioned it. I just wish we had done the remodel years ago. What amazing feedback! We love how everything from use of space to materials selection to intricate details contributed to a successful project for our client. 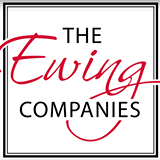 Whether you’re thinking about a remodel of your own or just simply interested in great home design and remodeling work, we hope this interview with our client was fun and informative! 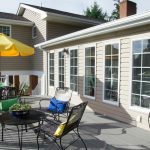 If you liked this, check out our other remodel stories on our blog!